Recently, one of our employees received an email purporting to be from Microsoft Corporation. 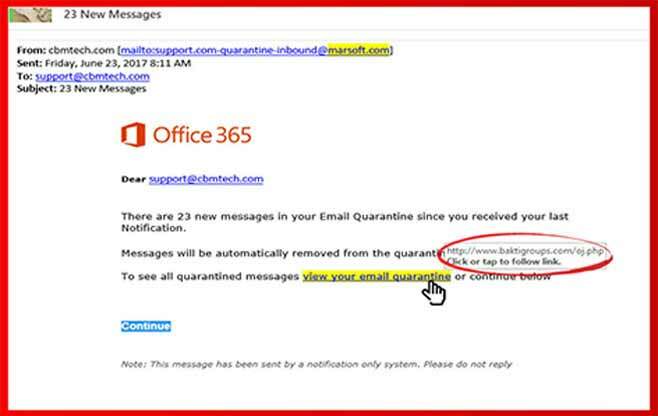 The email informed the employee that a Microsoft Online (Office 365) account had been created or modified for that person. The email intends for the target to click on the link highlighted in the body of the email, ostensibly to be taken to a website to either activate the account or set a new password.